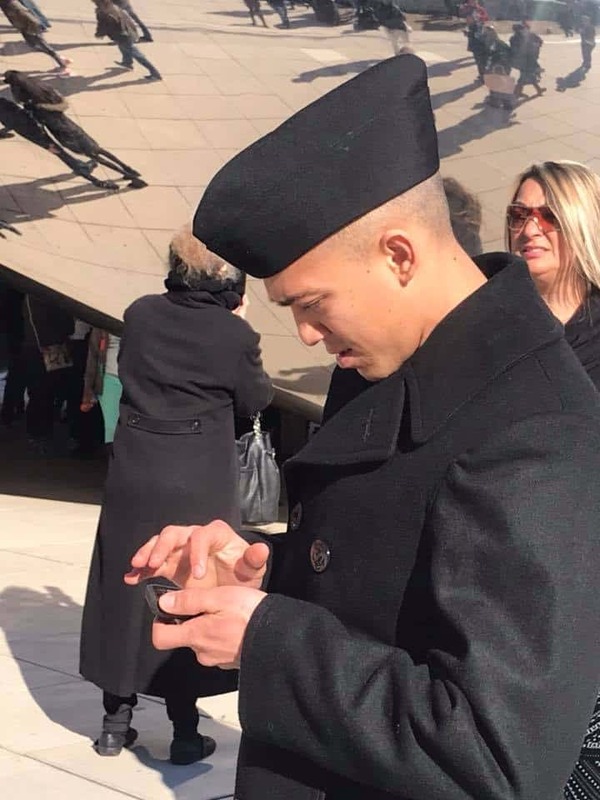 A proud weekend for us as we flew from 80 degree weather into Snowy roads in Chicago as we headed to the Great Lakes to watch Dakota Kai Sun graduate from Boot Camp as he is training to be a Navy Diver. 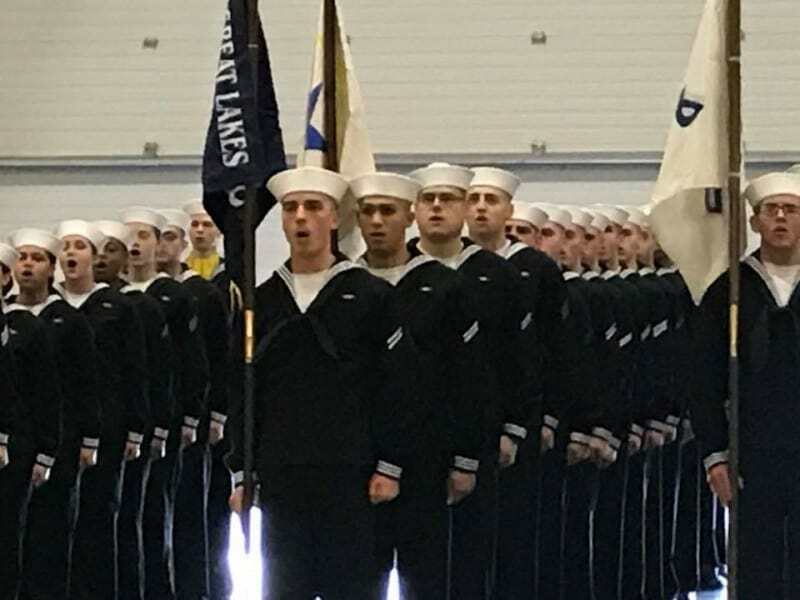 That’s Dakota below as you look at photo he is far left and the second sailor. 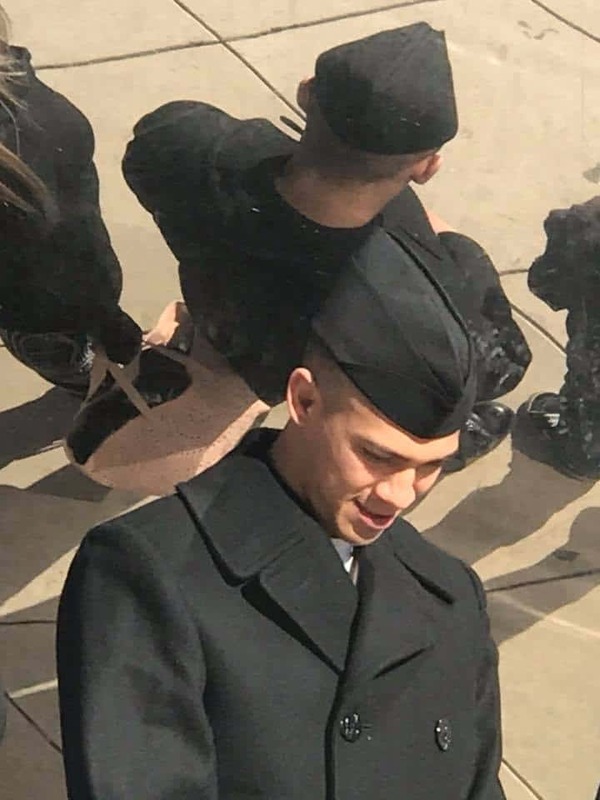 Not that many years ago whilst he was still at school in La Mirada, Dakota came to me to see if I could give him a job, I sure did and have loved the lad ever since, a tremendously talented young Man with many strings to hid proverbial Bow, and to see him graduate brought a tear to my eye as I am so proud of this Young Man. 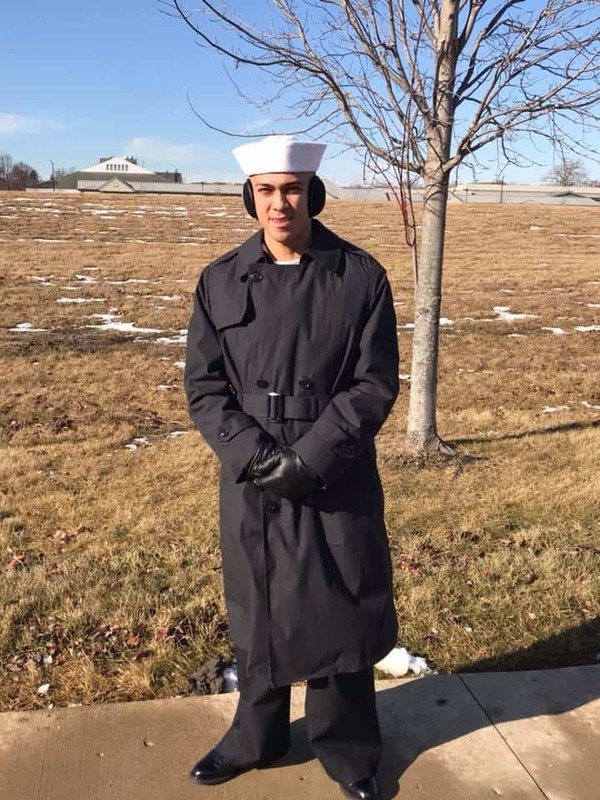 Both his Grandad’s were in the Navy and Dakota carries on the tradition, and now that those 8 Grueling 8 weeks of being shouted at, constant push ups, swimming, fire training, Live round shooting, and of course Gas Chamber experience, well it would wake anyone up from the dead thats for sure. Kota is above singing their Sailors creed. 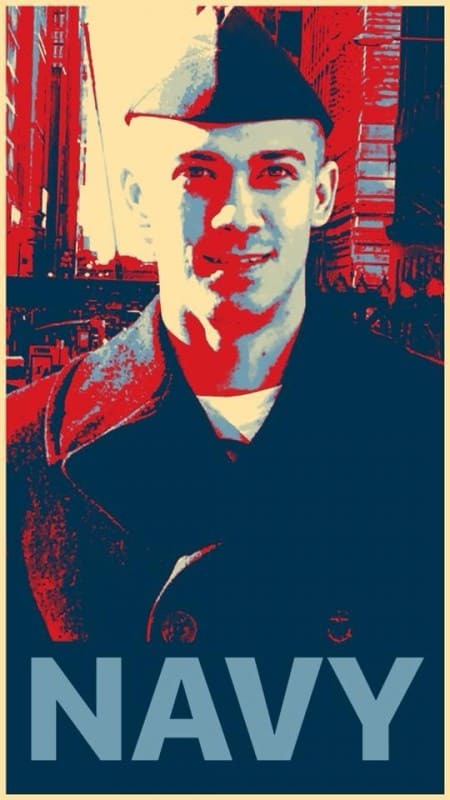 Carrying white flag. Dakota has always excelled in what ever he has attempted and he got through Boot Camp pretty well, not easy as this is a tough course for 800 Division as they are special Operations, so have the same training as the Navy Seals. 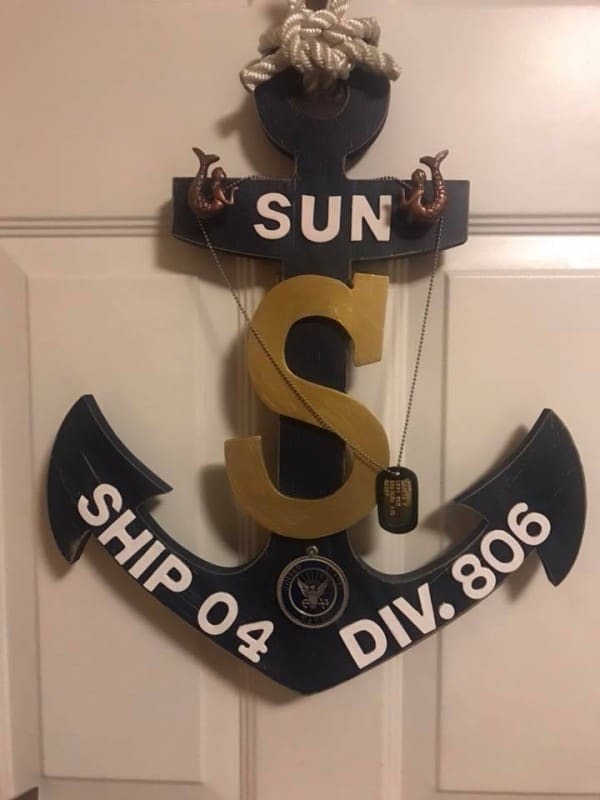 But he and his Division did so well, they won the captains cup in the camp, thats not an easy task to accomplish by any means, watching him March and carrying their flag, filled me with pride for him and his Division, they are great people and I know that will do well in their trades that they are hoping to get into. it was a long hard and exhausting experience for Dakota. 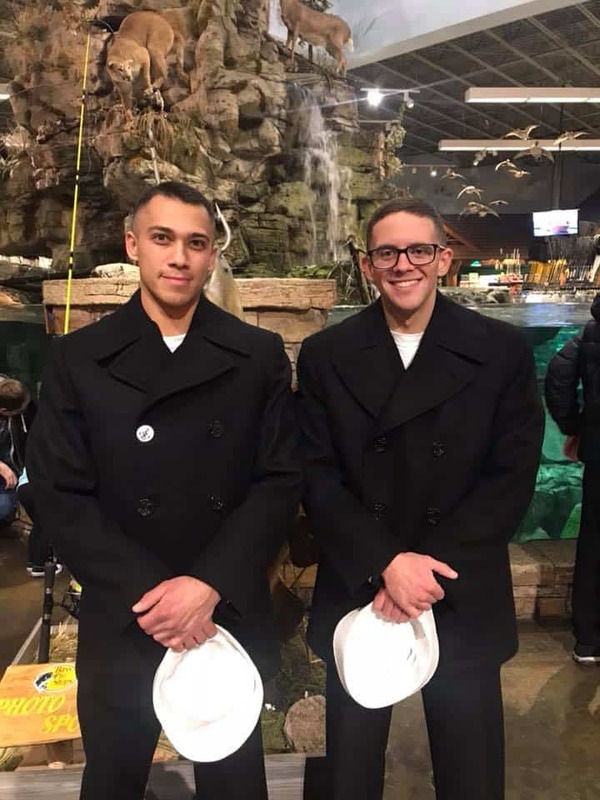 But , he stuck it out and is now an E2 and will now be spending a few weeks with grueling training for A school, thats even more Physical work and they will be pushed to their limits to try and weed out a few more, if Dakota gets through that lot, he will then transfer to Panama City in Florida for Dive School. 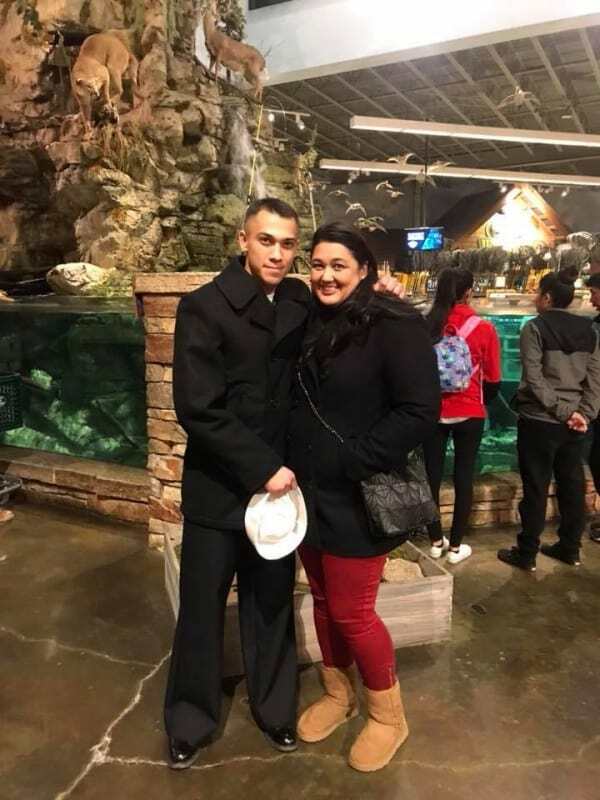 Where he will learn all aspects of Welding underwater, using explosives and so many other operations that Navy Divers are qualified to do, anywhere, anytime. 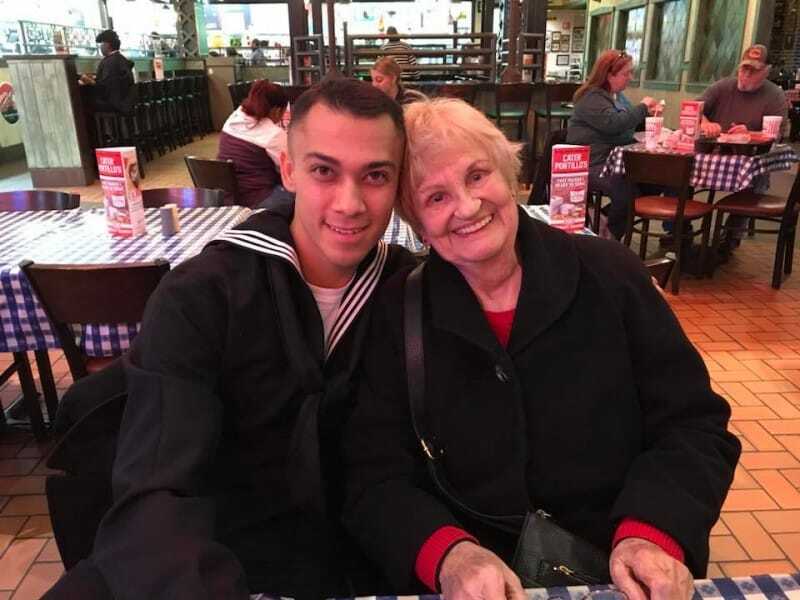 Spending Thursday through Sunday at the Great Lakes with His Mom ( Jennifer, My Girlfriend.) 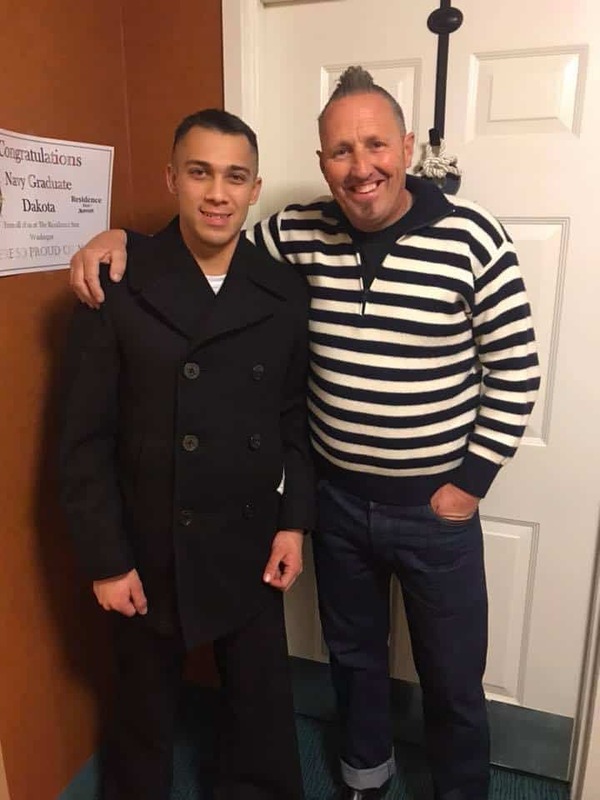 and Family were something I shall cherish, to see a young lad transform into a Man is something that is hard to explain but sure happy I was there for support. Above Dakota and Mom take time to get a photo. 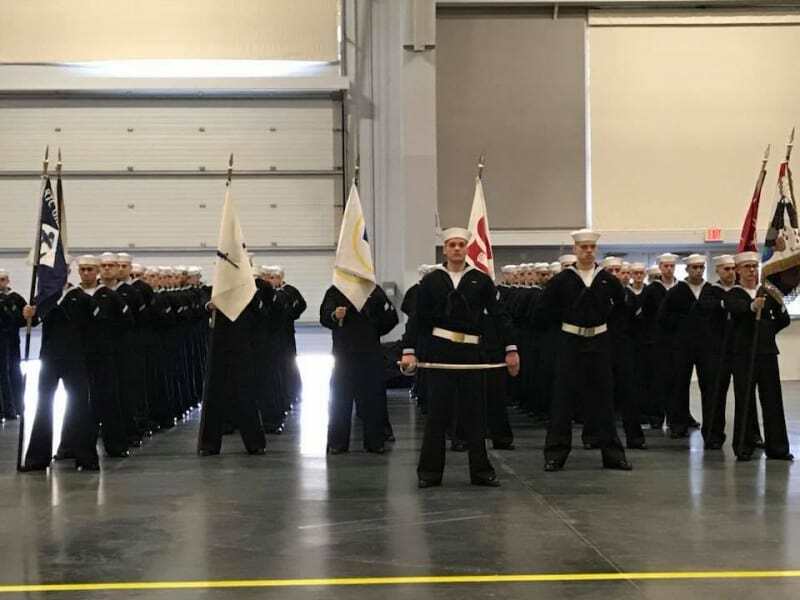 So just a little Blog today as we got in late last night and I have to do quite a few things today but I cannot express my pride for Dakota in becoming a sailor and look forward to him Graduate in panama City a little later on to become a Navy Diver. Above Dakota and his Grandma Carolyn he sure was happy to see her. 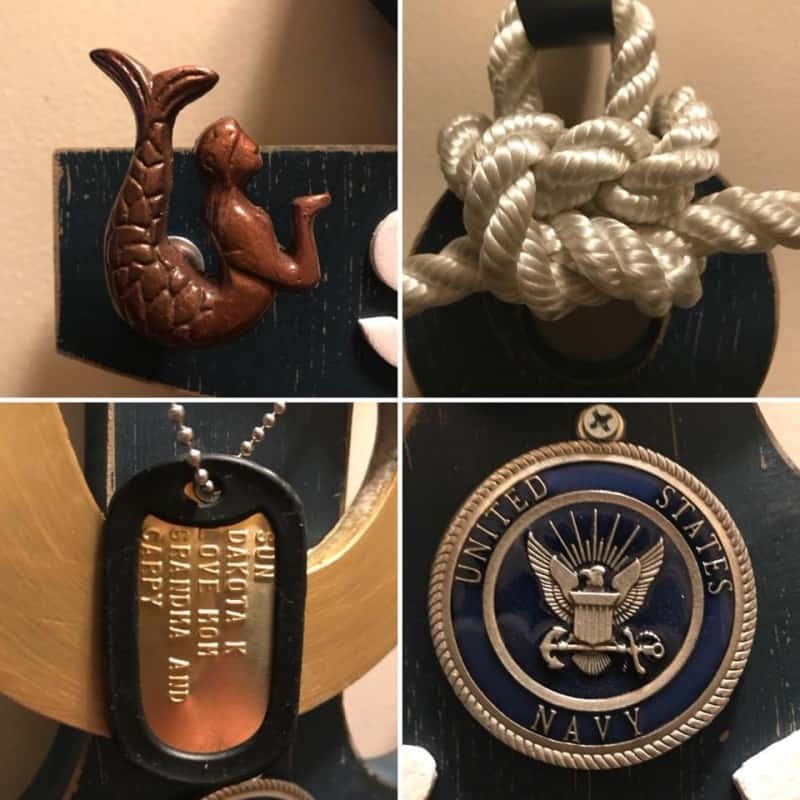 Below: jennifer made this awesome Sailor appreciation Anchor to congratulate her son Dakota and it has his Division and ship em-blazed in wood, she made all this herself and even had some dog tags made up and ties the Square Knot herself. Dakota loved it and a touching memento to have at home to always be thinking of him. I shall of course pass on any messages from people that know him and follow him on all the media’s etc, he is a very likable fella and so glad I am a little part of his life. 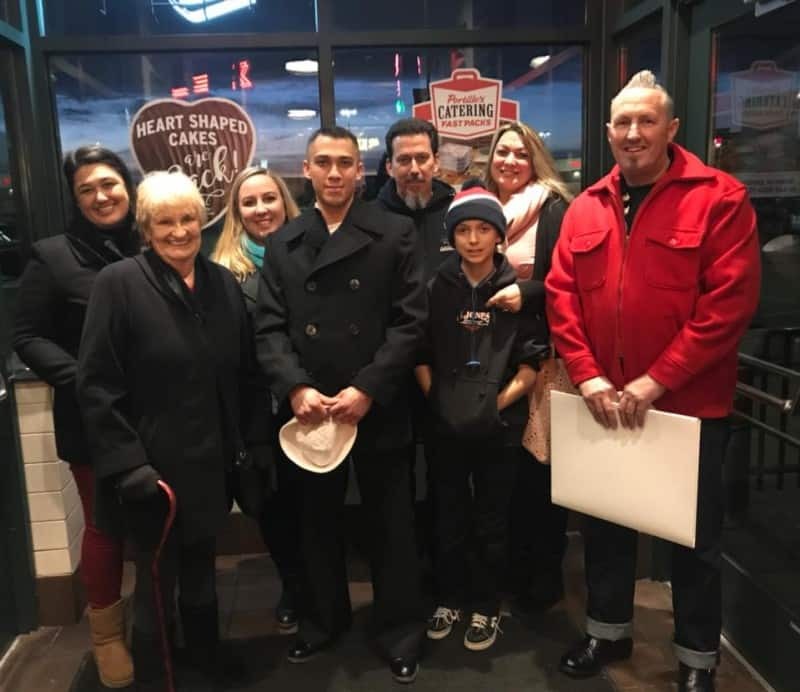 Above, the family came out to meet their new Sailor and what a fun time we had out here in Cold North Chicago, looking forward to seeing him in Panama City later on Kota Kai. Below, just a few shots I took with my phone. You can just see some snow on the ground and last week it was -15 degrees!!!! Below: Dakota with one of his Bunk mates and a very cool guy he was and his family too, so friendly. How must this feel after almost 9 weeks without a phone, he had to send all his stuff home to us, so that day he got his phone back, he sure was happy about that. 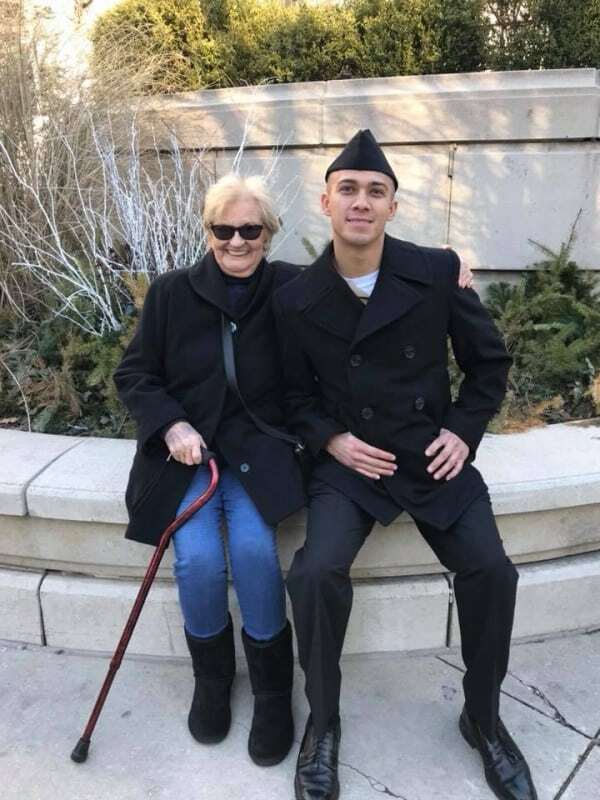 Below, sat with Grandma, she was so proud to see her grandson become a Sailor just like her Husband. 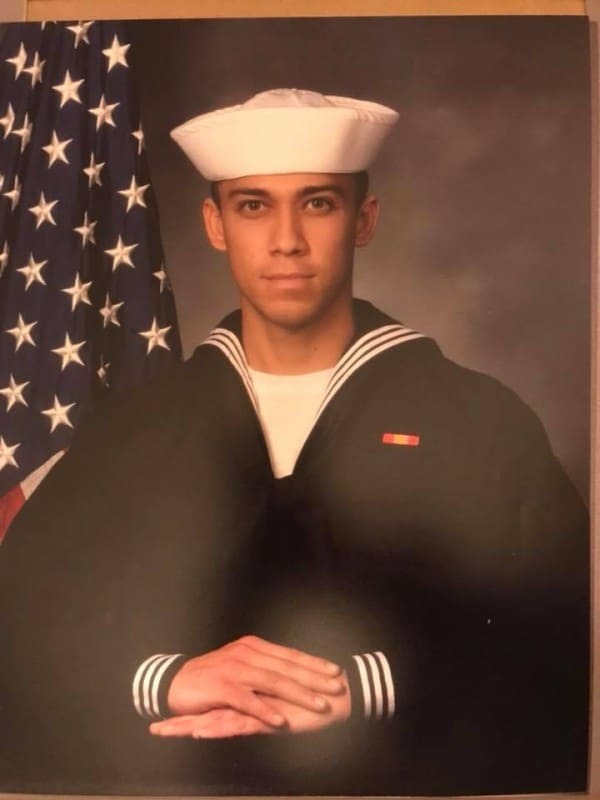 A very cool photo of Sailor “Sun” we are ALL so very proud of your achievements Dakota we miss you already. 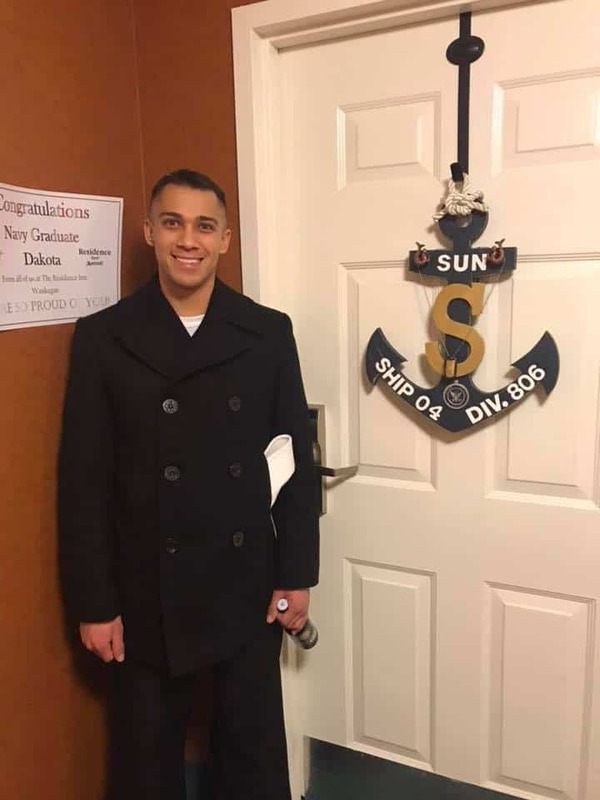 This entry was posted in Blog and tagged Boot Camp, cold weather, Dakota Kai, Division 806, Graduation, Great lakes, HOOYAH, ice, navy, NAVY DIVER, Navy Life, North Chicago, Proud day, snow.